If you want your Christmas cards to stand out from the rest and reflect your own personal style, consider making your own. Believe it or not, it’s easy to do and is a great project for the family to work on together. 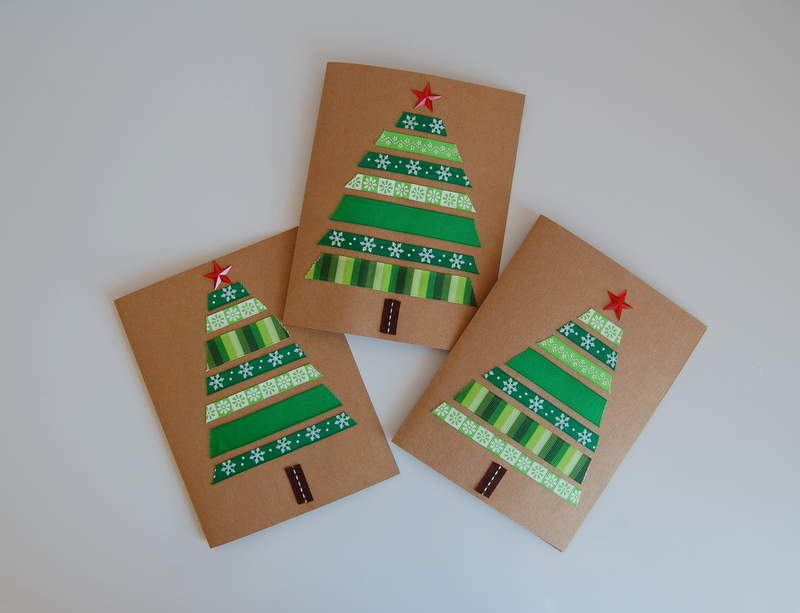 Here are five easy ideas for fun and festive homemade Christmas cards. Gather your tribe and give one a try! Here’s a great one for kids. Be sure to lay down plenty of newspaper to protect your work surface! Cut Santa hat shapes out of red craft paper and use glue sticks to attach to each card. Glue googly eyes about one finger’s width below each hat. 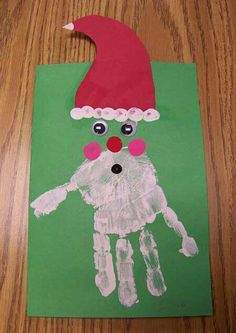 Using white tempera paint, have your child stamp handprint beards on each Santa. Use fingertips and various colors to add a black mouth, pink cheeks and perhaps some white trim for the hat. Don’t forget the red nose! Begin with blank greeting cards in the color of your choice. Icy blue or pure white looks good with this idea. 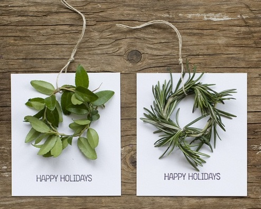 Take sprigs of rosemary and form them into circles, then secure with red ribbon or yarn. Use a dot of hot glue to secure it to the inside of your card. Not only will you have a beautiful creation, it will also have a wonderful Christmas scent your recipients will love! 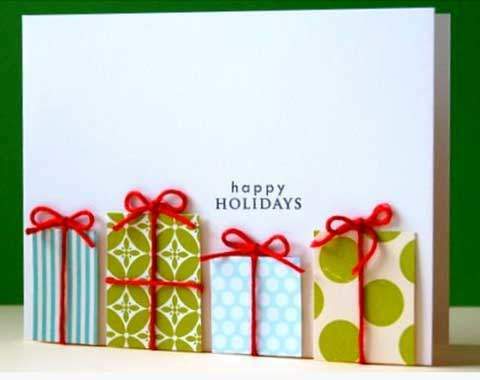 Use wavy or zig-zag craft scissors to cut strips of different green patterned scrapbook paper. Use different shades to give your tree more visual interest. Use regular scissors to cut a tree trunk out of brown scrapbook paper. Glue onto red card stock, forming a tree shape. Start at the bottom of your tree and work your way up. The green strips should be wider at the bottom, narrowing at the top into a triangular tree. Top with a gold star sticker. Here’s a great way to use up scraps of wrapping paper. Cut them into present shapes or ornaments and use a glue stick to attach to card stock. Try mixing and matching various colors, patterns and sizes for unique and festive combinations. Use a gel pen or marker to draw the strings or red bows on top the presents. Write your greeting on the face of the card. Voila! Your Christmas cards are wrapped up. 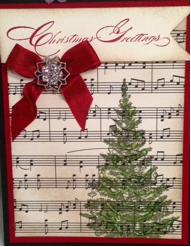 Creating handmade Christmas greetings is a fun and creative project that does not take a lot of time or effort to do. Try the ideas offered here, or be inspired by ideas at Better Homes & Gardens or at Martha Stewart. You’ll be proud of your creations and your recipients will love them. Who knows? They could be kept for years to come and inspire others to use their imagination as well.